There is widespread coverage, including in the Sun, Financial Times, Guardian and Independent, of statistics released yesterday of people who have been referred to Prevent and been supported through Channel. Media outlets have taken various angles on the statistics. These include the number of referrals for 2015 – 2016 being 7,631, including 2,100 children; the greatest number of referrals coming from schools (33%) and police (31%); 36% requiring no further action and half being “signposted” to other services. More information on Channel is available on gov.uk. The statistics are also available on the website while a comment from Security Minister Ben Wallace can be found below. At its heart, the Prevent programme is just one of a number of ways to safeguard vulnerable people from exploitation. The voluntary Channel scheme has seen real results in helping divert people away from terrorism and violence. The programme is helping to save lives and keep us safe. The Government has been determined to bring greater transparency to the programme and I am delighted that by publishing these figures we can help inform the debate around the policy. There is still a way to go to improve the approach and awareness of how to better safeguard our children and vulnerable adults, but the policy is going in the right direction. There is coverage of the sentencing of a people smuggler at Chelmsford Crown Court yesterday. 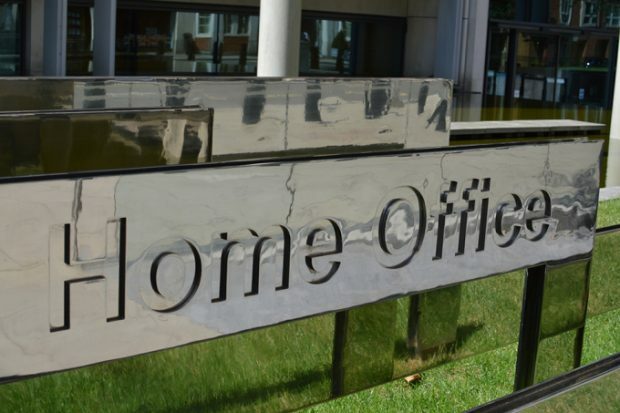 The Mail, Telegraph and East Anglian Daily Times report that Skelly Monpierre, 28 was jailed for three and a half years in prison for assisting unlawful immigration and two drug offences. Both papers report how he smuggled a family into the country in his camper van and tried to use chilli to distract sniffer dogs. A comment from Stuart Cooper from the Immigration Enforcement Criminal and Financial Investigation team can be found below. This was a deliberate and concerted attempt to evade the UK’s immigration controls. Monpierre and Ferreira had gone to great lengths to conceal their human cargo, even rubbing chilli powder around the edges of the luggage compartment in an effort to conceal the scent from sniffer dogs. There is no excuse for those who are prepared to abuse our immigration laws for personal gain and this case should serve as a warning to others involved in this kind of criminality. We will catch you and put you before the courts. There is widespread coverage of the Prime Minister’s announcement yesterday on Government appointments. The coverage notes that Sarah Newton MP has moved from her position as Minister for Crime, Safeguarding and Vulnerability to become minister of state at the Department for Work and Pensions. It adds that Victoria Atkins MP has been appointed as Parliamentary Under Secretary of State at the Home Office. A comment from Victoria Atkins can be found below. I look forward to building on the meaningful, positive change this Government has already brought about, from driving the global fight against modern slavery, to taking dangerous weapons off our streets and protecting the most vulnerable people in our society. I feel honoured to become part of a Ministerial team which is working with such drive and commitment to make our communities safer and more cohesive. The Sun and Guardian carry brief reports on statistics released yesterday regarding drug seizures. The coverage notes that authorities confiscated 5,516kg of cocaine in 2016/17. The statistics are available on gov.uk. A Home Office comment can be found below. Tough enforcement is a fundamental part of our drug strategy, published this summer. We are taking a smarter approach to restricting the supply of drugs: adapting our work to reflect changes in criminal activity; using innovative data and technology, and taking coordinated partnership action to tackle drugs alongside other criminal activity. Seizures of drugs by Border Force have risen by 26% compared to last year, including a number of significant cocaine seizures. This shows the determination of the Government to work with law enforcement colleagues to prevent drug trafficking, and bring those responsible to justice.